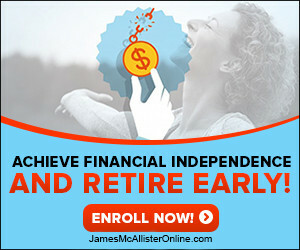 James McAllister Online - Page 2 of 51 - Your friend in business, and in life! One of the most exciting, but also one of the most difficult times when you’re starting business online is choosing a niche. After all, it’s your niche – the topic you’re building your business around, that has one of the biggest effects on your chances at either succeeding or failing. Needless to say, making the right choice is pretty important. In this article, I’m going to go over an example niche in detail, showing you the exact process I use to determine whether or not a particular niche is right or my students. Every year, more and more people are learning the benefits of investing. They’re beginning to understand that they can never build true wealth, if they do not put their resources to work for them in a way that pushes them further towards their financial goals. We know this is true, but step back and ask yourself something. What if you’re not even following the right strategy to build long-term financial stability? What if the investments aren’t aligned with your goals? What if you feel like you’re doing everything you supposed to, but you find out years from now it was all wrong? This is the case for millions of people, and they don’t even know it yet.